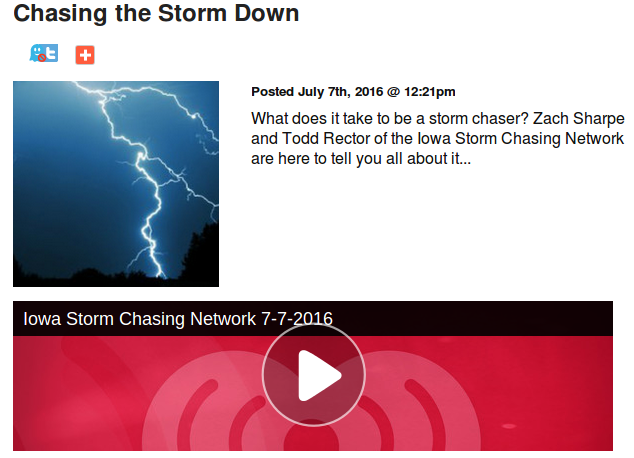 Zach Sharpe and myself, on behalf of the Iowa Storm Chasing Network, were contacted by WHO Radio to do a 30 minute segment about storm chasing. 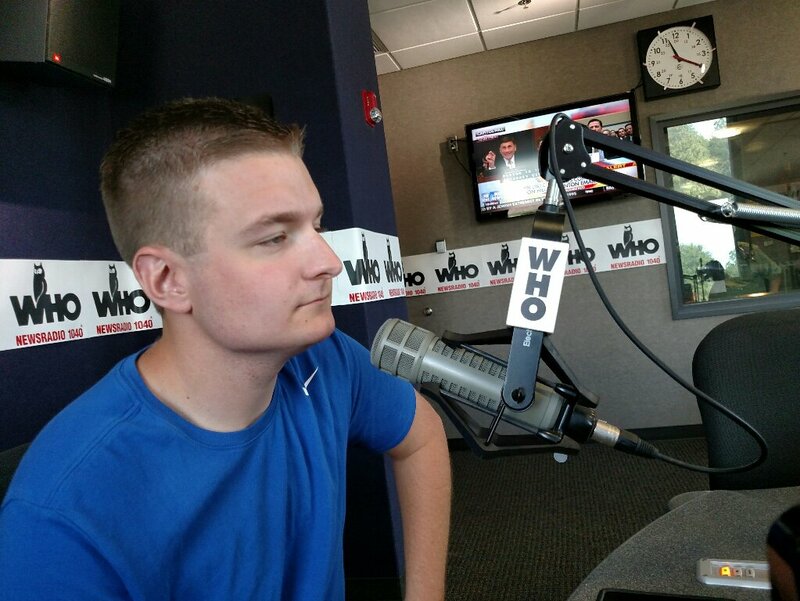 WHO Radio 1040 is one of the few 50,000 watt AM stations in existence on a clear channel (not shared with other stations in the U.S.) and as such can be heard easily throughout Iowa and surrounding states during the day, and nearly all across the continental United States at night. It was a fun, unscripted interview and the host Jamie Johnson was very nice and seemed genuinely interested. Unfortunately there were no phone calls from the public during our interview, but I thought it went well regardless. It’s nice getting exposure in this way.